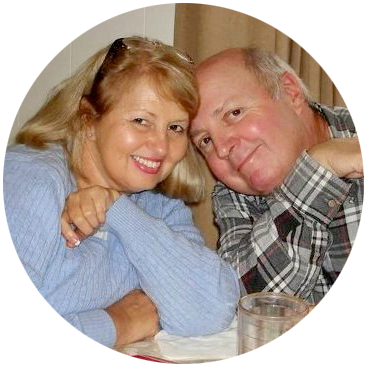 You are here: Home / garden / After the Soil Test, What Next? 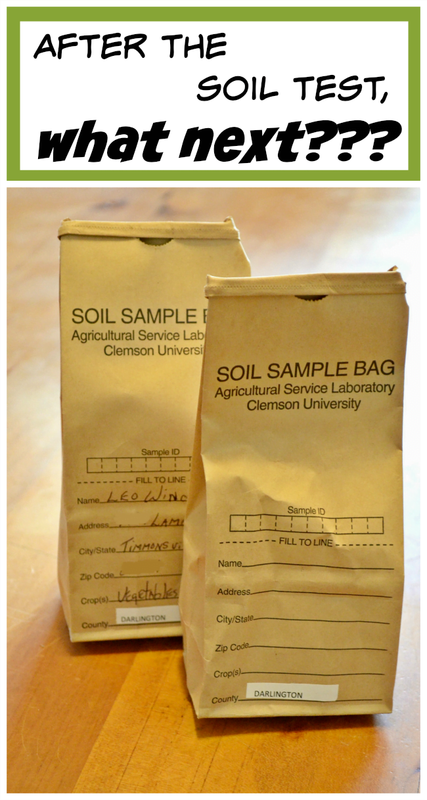 A few weeks ago, I took soil samples of our garden, packed it up in these neat little bags, and sent them off to Clemson University to have it tested. 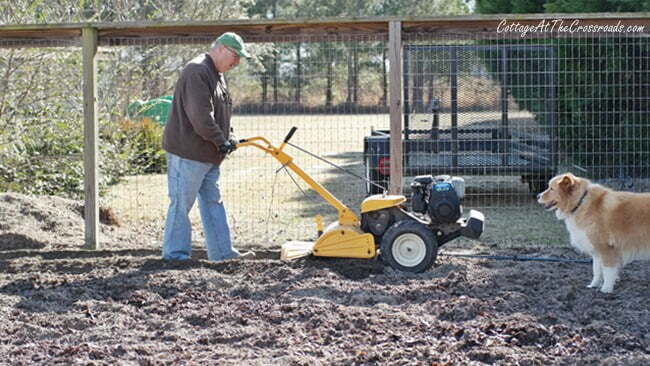 To me, this is probably the most important step to take in preparation for spring planting. 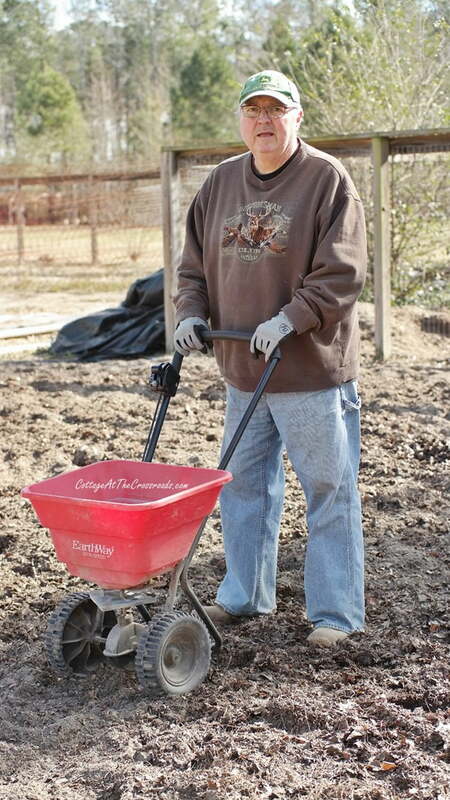 If you’re new to soil testing, you may want to read my post 5 TIPS FOR FIRST TIME GARDENERS. 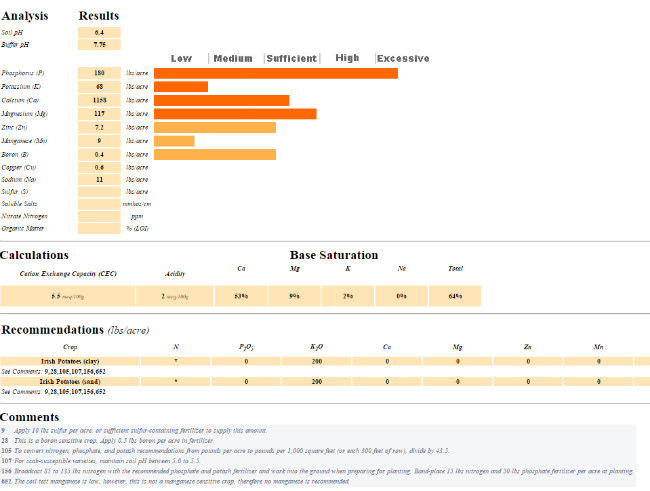 I couldn’t wait to get the soil test results, and they’re finally here. The results arrived via email. By the way, the Clemson University Home and Garden Information Center is an excellent resource for anything garden related. Now that the results are back, you may be asking yourself, “After the soil test, what next?” When you get the results, don’t let them scare you! They show you exactly what elements are present in your garden soil, and also contain recommendations on how to amend your soil to obtain the proper pH levels and to add the necessary nutrients for maximum production. So it was off to the farm supply store for me. My test results recommended that I add lime to all areas of my garden. You can buy lime in the powder form, but I prefer these 50 pound bags of pellets. After the lime was spread, I followed the recommendations for my soil test results which indicated that I needed more nitrogen.It specifically stated that I needed a 34-0-0 in some areas and a 15-0-15 in the rest of the garden. 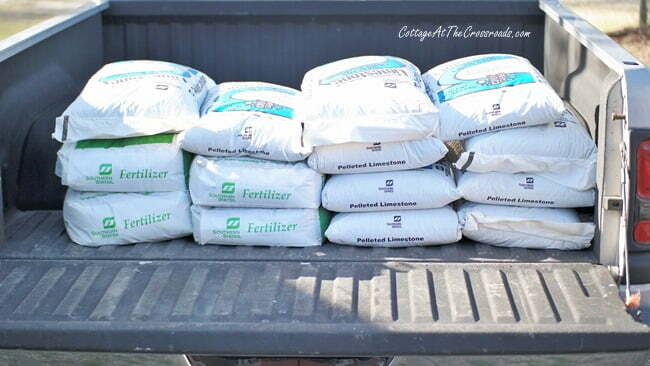 The numbers on the fertilizer bag indicate in this order the ratio of nitrogen, phosphorus, and potassium. Lucy and I visit our local Starbucks at least once a week and bring back these FREE coffee grounds.. All year long, they get added to our compost bin. 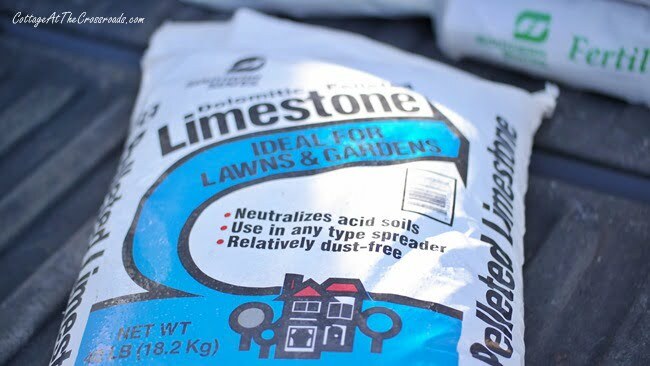 Since the compost is not quite ready for early spring planting, we rely on purchased fertilizers to bring the soil levels back up to where they need to be. Since blueberry and rose bushes like a more acidic soil, I did work some of these grounds into the soil around those plants. Now that I’ve spread all the fertilizer that was recommended by the soil test, it’s time to till it into the soil. It’s far too early to plant so while the amended soil sits, we wait. But the garden is ready when the time comes to plant. 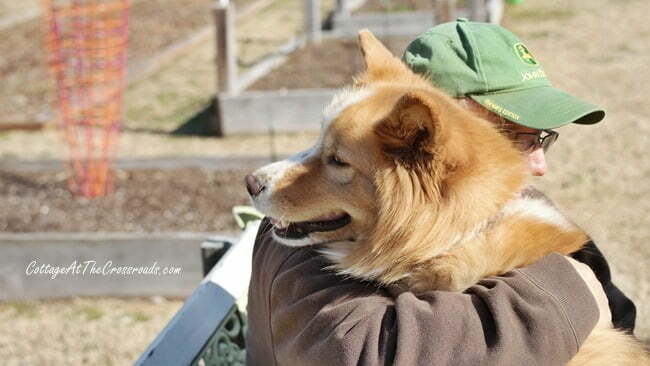 After a hard day’s work in the garden, Lucy and I end the day with a congratulatory hug! Thank you for this article on soil testing and how to correct some soil issues. I didn’t know that soil checks gave you recommendation on how to amend your soil to get the proper pH levels. We will have to fix our soil if our soil test comes back with any suggestions. We tried a little garden last year and (first year at this location) and decided it didn’t get enough sun. We are going to try raised beds in a different location this year- do you think we still need to get the soil tested? 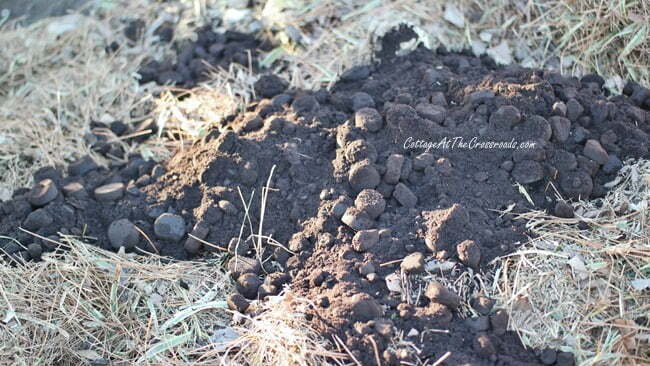 I suggest you fill your raised beds with a mix of garden soil, Black Cow, and maybe some peat moss. All available at your local garden center. Be sure to ask them what they suggest. Good luck this year. I’m sure you will see an amazing result with full sunshine. A “congratulatory” hug is also a good measure!! Love your Lucy!! I had a garden last year for the very first time. I want a bigger one this year. How do I find out where to send my soil. I live in Connecticut. I already put coffee grounds from Starbucks in my garden and it has helped tremendously. When I shut the garden down last fall, I put coffee grounds on top of the soil and then loaded it with leaves. When it finally stops snowing here (sometimes I think it never will) I will use the rototiller and put it back into the soil. I would appreciate any help I can get, thank you. Thank you Leo I will try that. Do you promise that spring will eventually come to Connecticut? Love all your tips today Leo (Pinning) I am actually going to do the same this year. We always have rich black dirt from dredging the pond and things always grow great but Im sure theres something my soil is lacking. We have a Co-op about 20 miles from me that will do the testing. I like that your place supplies the bags for the soil, I will have to check to see if ours does that. Thanks for stopping by Dawn. I don’t know about you, but we are ready for some fresh veggies. Stay warm.